Need Cooling or Heating System Maintenance? Give us a call and we will be at your door in the shortest possible timeframe. We install, service and repair all makes and models of air conditioning and heating systems. We offer affordable, upfront pricing for all your air conditioning and heating service needs. Know upfront what is involved in getting your units back to optimal working condition. Have full trust in the outstanding workmanship provided by Air Conditioning Repair. Our solid warranty and 100% satisfaction guarantee give you a peace of mind when you call us for all your air conditioning and heating needs. For any cooling or heating service and repairs in Sydney, from installation, maintenance to repair, there is only one name you need to know – SYDNEY AIR CONDITIONING REPAIR. Our aim is to provide high quality services when it comes to heating and air con in Sydney to all clients who have professionalism, reliability and commitment at the top of their priorities. For years, our company has been building its reputation for its top quality air conditioning and heating services in Sydney and highly qualified and experienced team of technicians. We pride ourselves on our contracts mainly attained through recommendations of our existing clients. Our team of professionals has years of experience in all aspects of air conditioning and heating services in Sydney no matter which make or model you need installed, maintained or repaired. They are trained to the highest standards and always up to date with the latest heating and AC equipment, never allowing project size to get in the way. When you are moving to a new house or just need to find the perfect heating or AC unit for your existing property, our team is here to help you choose the right type, model and size taking into account your efficiency needs and budgets and install it in the shortest time possible. And if your old system is about to give out on you, our team of experts will replace it. They have all the necessary knowledge and experience to make your units replacement simple and prompt, regardless of the type of heater or aircon in Sydney you need replaced. They will assist you through the entire process – from a free estimate to installing a new unit. It can always happen that your units stop functioning in the middle of the season when you need them the most. Our knowledgeable and experienced team will diagnose the issue quickly and get your units back and running at their optimal efficiency. Our trucks are fully stocked with different parts of the most popular makes and models in Australia, so most repairs are done in one visit. Regular maintenance prevents unit breakdowns and ensures their optimal performance, improving energy efficiency. Whether you need a one off service or want to sign an ongoing contract for regular checkups of your systems, get in touch with us. We offer outstanding preventive maintenance services of your heating units and air conditioning in Sydney, improving their resilience and durability. Let us help you save significant amounts of money on costly repairs and energy bills. When looking for an experienced team to deal with your heating or aircon in Sydney make the best choice and contact SYDNEY AIR CONDITIONING REPAIR for a guaranteed climate control solution! We will be more than happy to earn your trust. You deserve to enjoy perfectly cooled or heated homes, so do not wait any longer! When you choose SYDNEY AIR CONDITIONING REPAIR, rest assured that the job will be done right first time and within your budget. Your heating and ac system are one of the biggest investments for your home or office, providing comfort for you and your family. But if your home is not as worm as it used to be, then your heating system is definitely in need of ducted heating repairs in Sydney. You may want to replace your old ducted heater, but your house can be warm with regular servicing and maintenance. Our experienced and skilful team can advise you to find the best heating solution for your home or office and install it at the most convenient time for you. Planned preventative maintenance is important for prolonging the life span of any air conditioning or heating system and reducing energy consumption; we can save you money on costly breakdowns and extend the life time of your equipment, ensuring that your system runs most efficiently and cost effectively. For the most professional and reliable heating service in Sydney call today and we will discuss your requirements and recommend a heating solution for your property. Whatever your needs are, our technicians offer you full range of ducted heating repairs in Sydney. When your AC unit is not running correctly – or is simply not running at all, our professional team is on standby to complete your air conditioning repairs in Sydney. Everyone hates unexpected bills, so why not take control and stop them before they can happen? By properly maintaining your air conditioning system you are far less likely to experience a break down and repair bills. We specialise in installations, repairs and maintenance of air conditioning systems and provide unbeatable prices coupled with the highest quality service. Our technicians have the knowledge and expertise to help you choose the right unit for your property and install it in no time considering your budget and requirements. We provide a high quality maintenance service for your air conditioning unit; it is inspected thoroughly, all the filters changed, operating pressures and controls checked and any faults repaired, prolonging its lifespan and giving you many years of satisfaction. 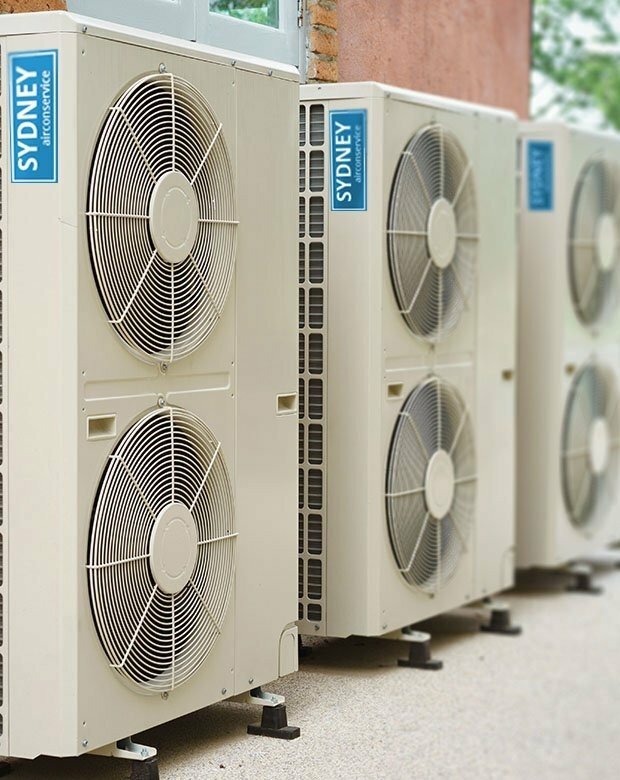 With our huge commercial and industrial refrigeration experience we can offer you a full comprehensive range of services for any air conditioning repairs in Sydney.